Last chance to catch Farfetch'd, the Asian regional Pokémon that's been unlocked worldwide until the end of today! During the Travel Challenge, trainers caught 3 billion Pokémon in a week to unlock Farfetch'd — the Asian regional exclusive — worldwide. But Farfetch'd is only unlocked for 48 hours. That means you have two days to find and catch the best Farfetch'd you can. Here's how! Farfetch'd resembles a brown duck with a white underbelly. It has a yellow beak and a V-shaped, black marking on its forehead. It has wings as big as its body, which appear to be prehensile enough to substitute for hands. It has yellow legs with webbed feet. Farfetch'd is always seen carrying a leek stalk or spring onion. It carries this sprig in its wings, and sometimes chooses to hold it in its beak or feet instead. Unable to live without its stick, Farfetch'd will defend the stalk with its life. Known uses for the stick include use as a weapon, nesting material, and emergency food source. It is selective about which sticks it will use, and has been known to fight over good ones. Farfetch'd is found in grasslands. Why haven't we seen Farfetch'd before? But Farfetch'd is worldwide now? Almost! 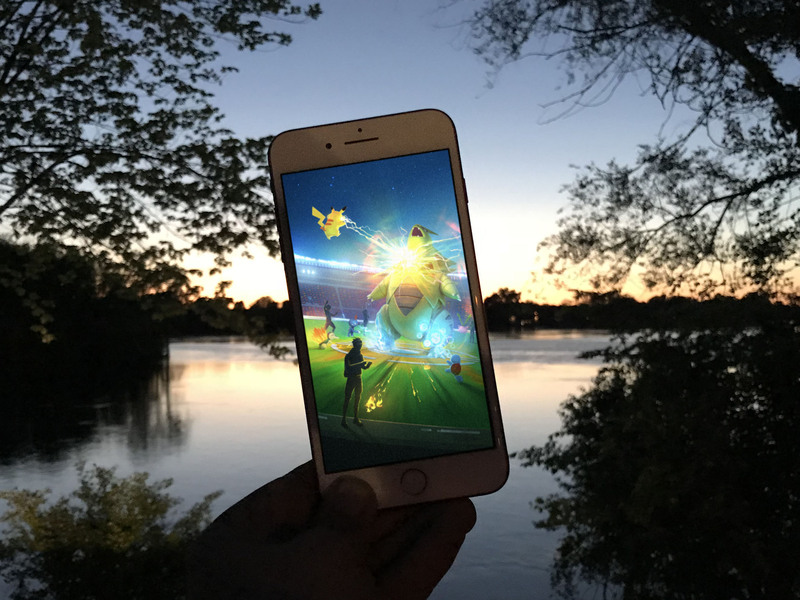 Kangaskahn, the Australian regional exclusive Pokémon has taken Farfetch'd place in Asia, while Farfetch'd has spread out across the rest of the world. How long is Farfetch'd worldwide for? Farfetch'd is only worldwide for 2 days, why?????? Farfetch'd was unlocked as part of Pokémon Go's Travel Challenge. You bet. They won't always show up on Sightings, especially if there are a lot of PokéStops nearby, but if walk within 40 m, Farfetch'd will burst onto the scene. Does Farfetch'd have an increased spawn rate? Kinda. Like many recent special releases, Pokémon Go surged the spawn rate when Farfetch'd first appeared but have cut back since then. It's something that happens quite often. Since Pokémon Go can adjust the spawn rate at any time, though, it could spike again as the end draws near. Should you use a Lucky Egg to catch Farfetch'd? Yes, if you have one to spare. Since it'll almost certainly be new to your Pokédex, and there's currently a 2x XP reward going on, you'll get a ton of experience points for catching your first Farfetcg'd with a Lucky Egg. If you can find a nest or a spawn near a PokéStop, you can absolutely track Farfetch'd. Once you get to the PokéStop, Farfetch'd will spawn and you can catch away! Can you get Farfetch'd from incense or lures? Also yes. Farfetch'd acts like any Pokémon but with the increased spawn rate, it's even more common right now. So, Lure and Incense away! Can you get Farfetch'd from an egg? No. Shortly after launch, regional exclusive Pokémon stopped hatching from eggs. So, if you want Farfetch'd, you better go out and catch, catch, catch! How do you increase your odds of catching Farfetch'd when you find it? Farfetch'd isn't hard to catch at all. Still, if you're nervous and want to make sure you catch one before the two days end, there are things you can do! Use a Razz Berry (1.5x). Golden Razz Berry (2.5x) if you have 'em. Unlike other bonuses, it's not dependent on you hitting the target. It'll work when you do. Throw a Curve Ball (1.7x). A successfully thrown Curve Ball has a higher catch rate than a Great Ball and almost as good as an Ultra Ball. If you're going for your first Farfetch'd, throw a Great Ball (1.5x) or even Ultra Ball (2x) too. The bonuses stack. Go for a Nice, Great, or Excellent throw by nailing the center of the target circle. Again, the bonuses stack. No. Farfetch'd does not evolve. What's the best moveset for Farfetch'd? This one is really simple trainers: Go out and catch! But, If you have any questions about Farfetch'd, drop them in the comments below!